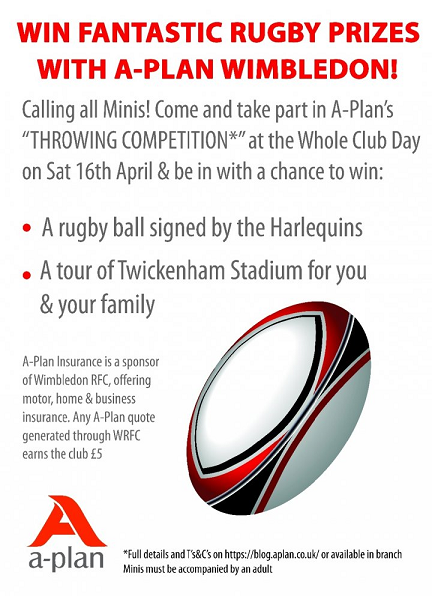 Win a signed Harlequins Rugby ball & Family Twickenham stadium tour at the Whole Club Day, Saturday 16th April. 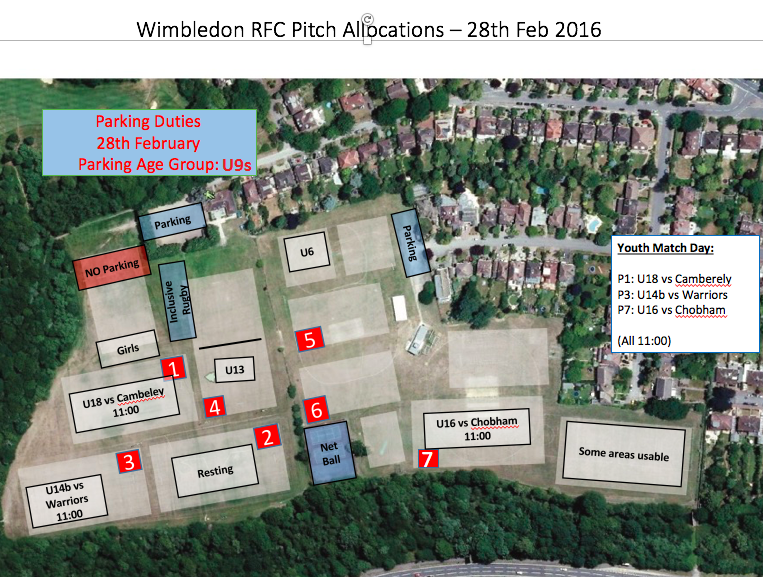 This weekend, Minis are distributed in different the places, some at Effingham & Leatherhead, and others at Esher. 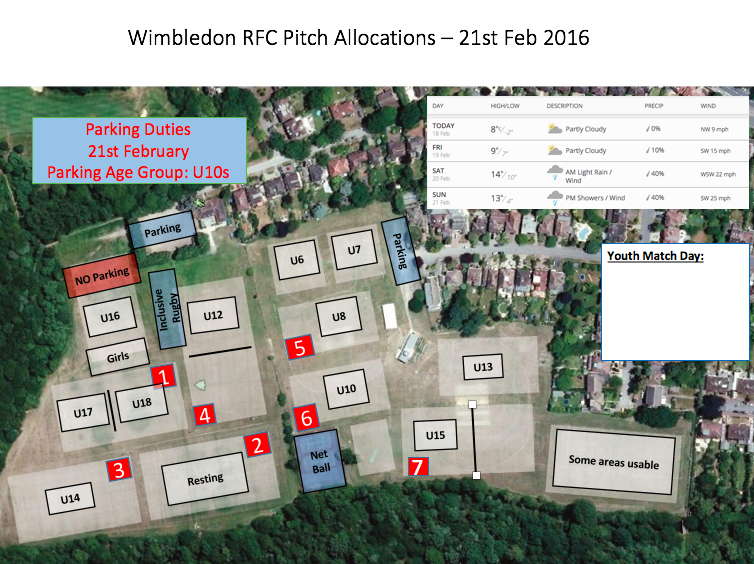 For those that there are extras who are training at home, find bellow the spaces allocations. 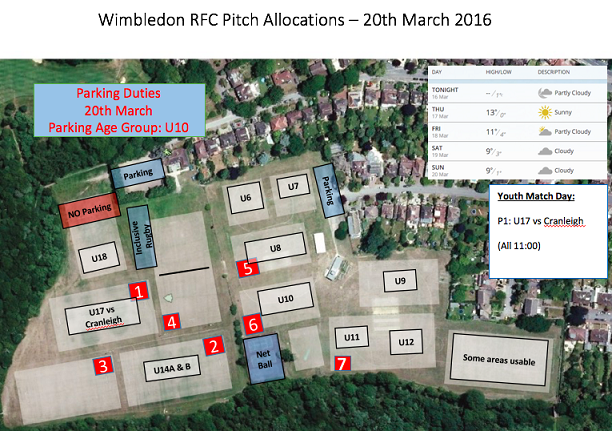 Only one youth match at home, 3 teams playing away and the Girls are at Teddington. 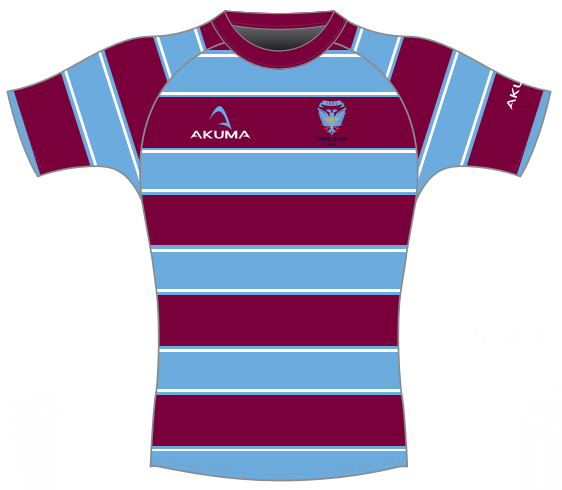 Rugby is ON! Evens are at home, hosting Dorking. Odds away at Dorking. Under 10s on car parking. 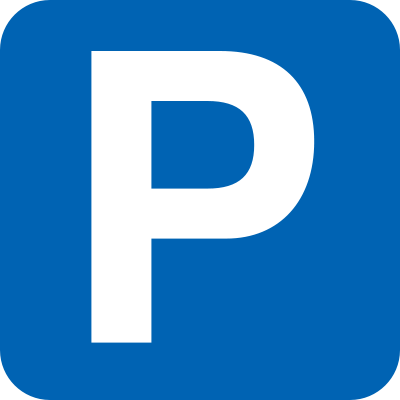 If parking at Drax (end of Preston Road) if you have a 4x4 please turn right and park on the muddy bit to help as many cars get in as possible. Update at 7pm Sat. 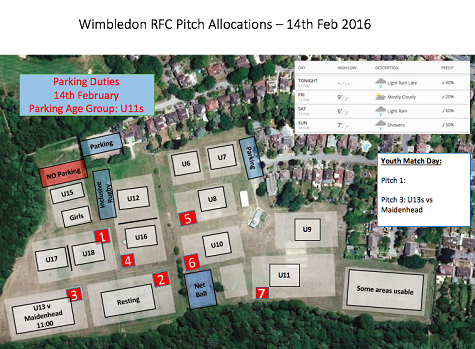 What better treat on Valentines Day than watching your kids enjoy their rugby! Here's where everyone is playing. 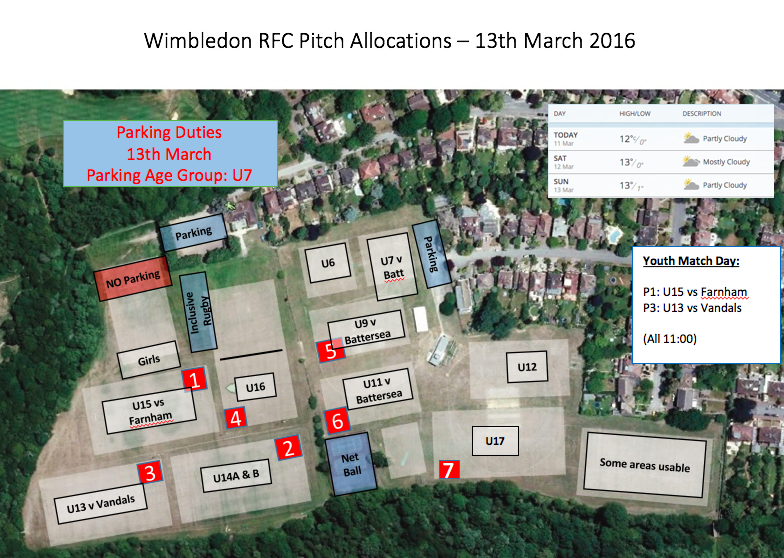 Under 11s on the parking this week. 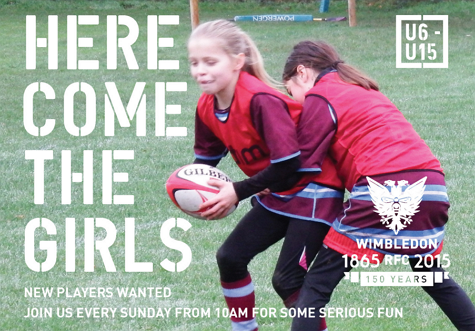 To promote Girl's rugby further we have teamed up with the RFU and we are looking for more players to join our girls' team in WRFC! As rain is forecast Saturday night do check back here in case there is news. Please avoid trampling the touchlines to buggery. 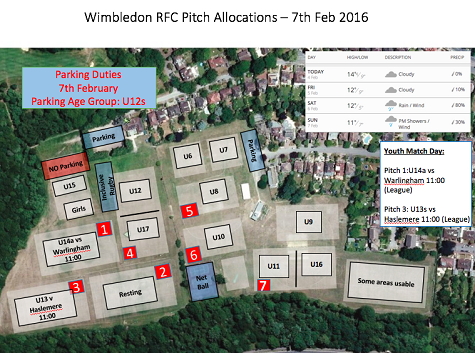 Under 12s are marshalling the parking. A WRFC tradition that is the most fun you can have off the field. This will be a sellout!